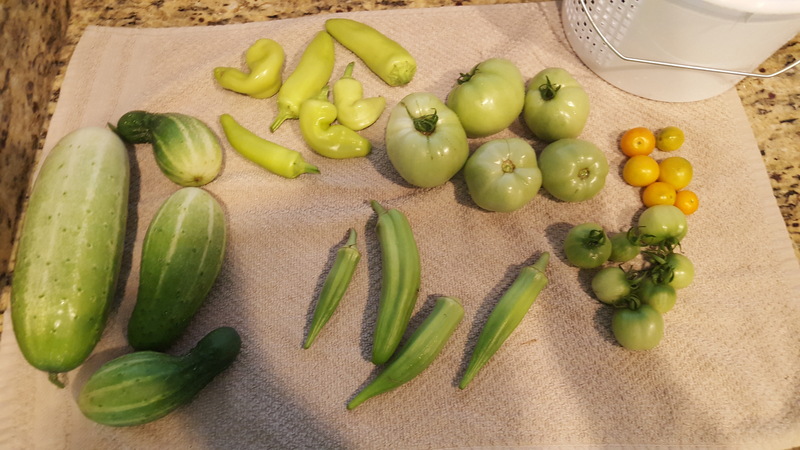 The garden in the backyard is growing really well and I was even able to pick a small harvest today when I went out there to do a little pruning. 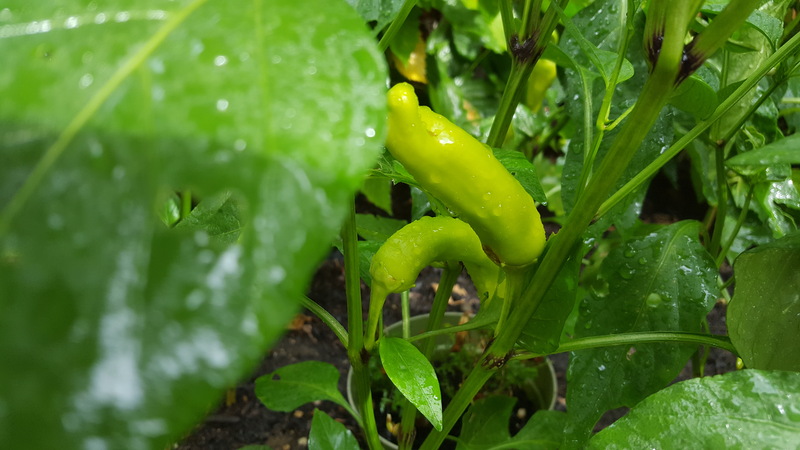 I recorded a quick vlog of my garden showing y’all how my garden looks this past weekend. 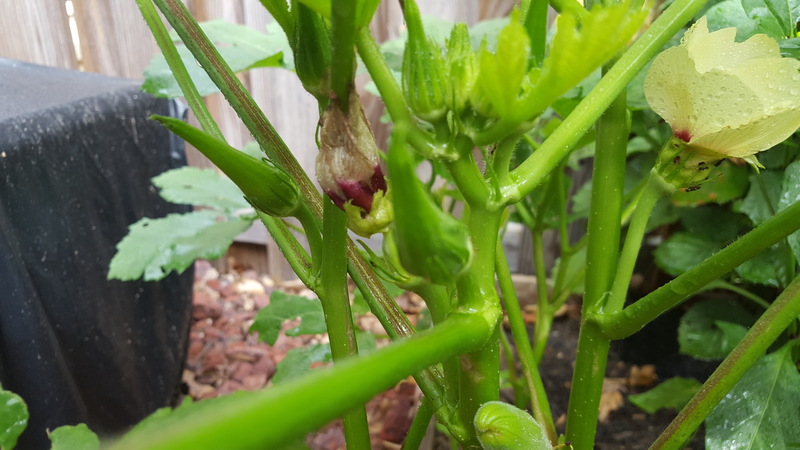 My pickling cucumbers are finally growing bigger, I have tomatoes growing, peppers, and okra! 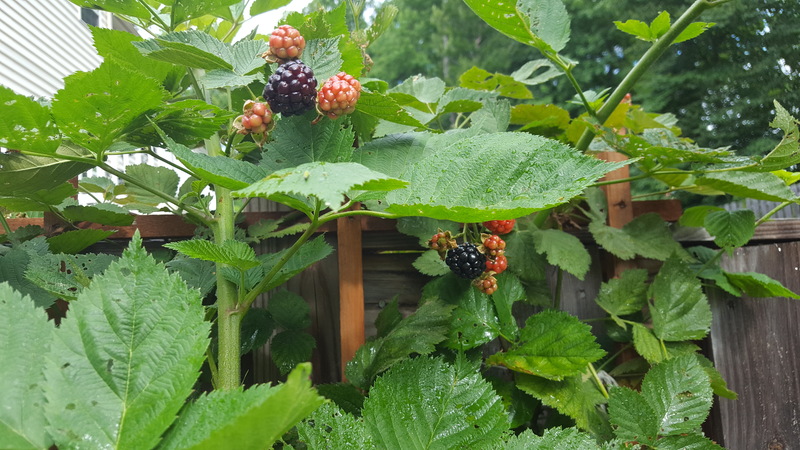 Of cousre my blackberries are ready to eat too. 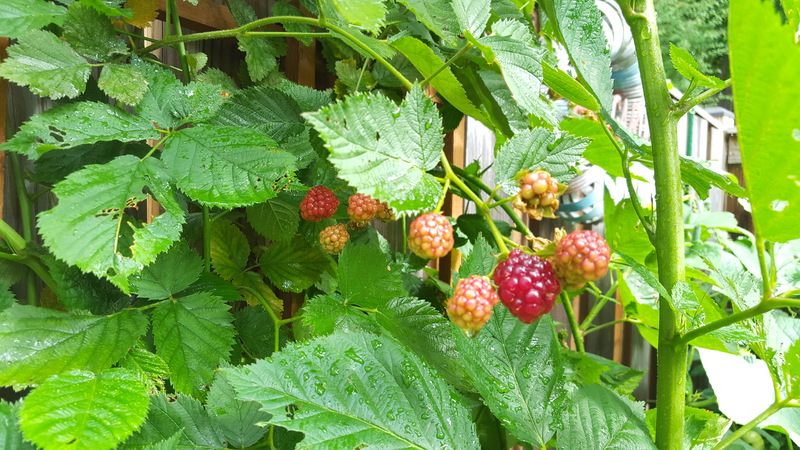 However they hardy make it to the basket (I can’t stop eating them)! 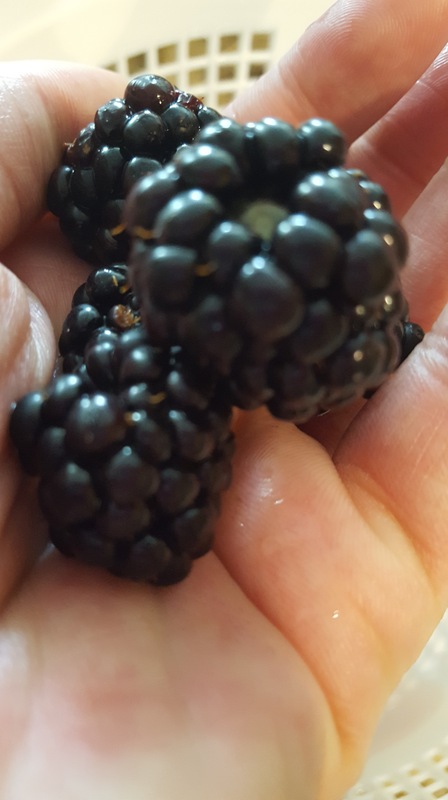 Look at those delicious blackberry! 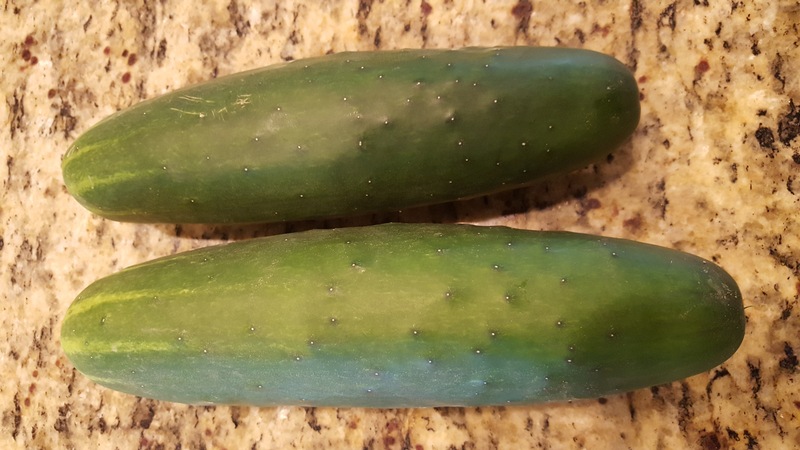 My none pickling cucumbers are huge! 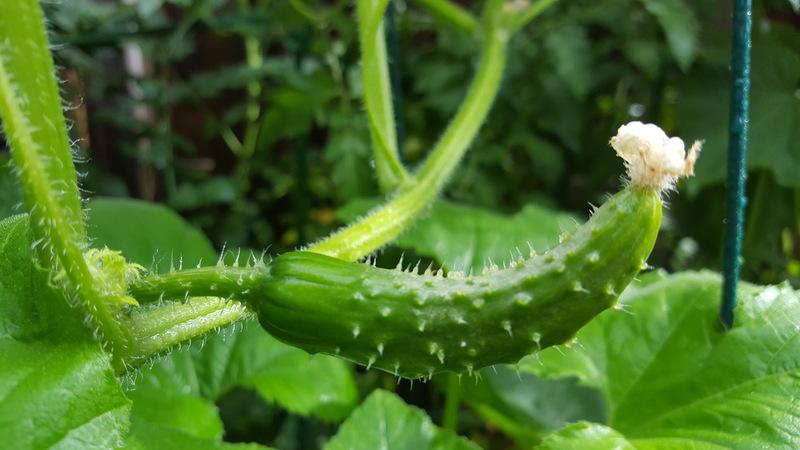 I couldn’t believed that I was able to grow a cucumber this big. 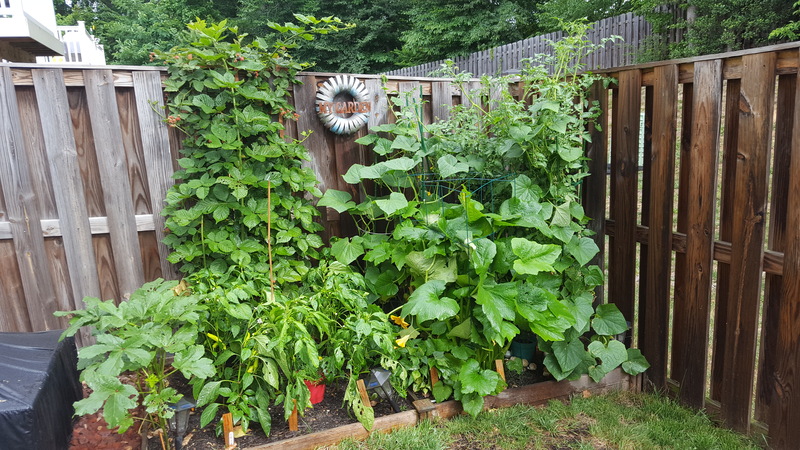 This is proof that you don’t need a large garden to grow food. 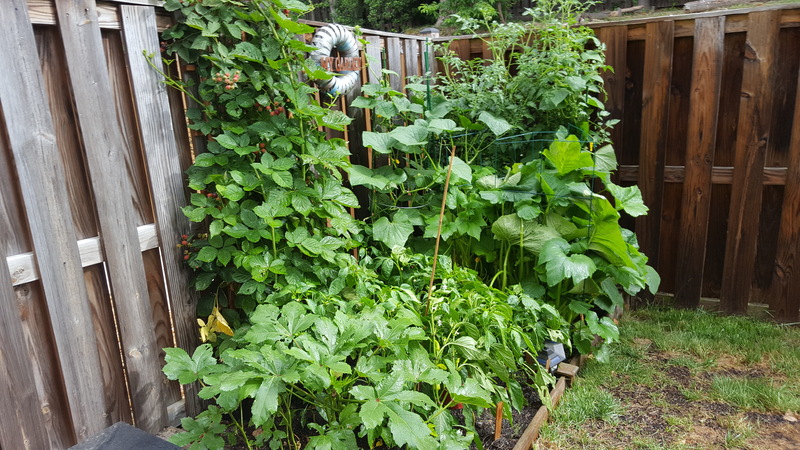 Here are a few more pictures of my small backyard garden. As always leave any questions that you may have below in the comments I’ll be sure to get back with you soon! Have a great weekend y’all! 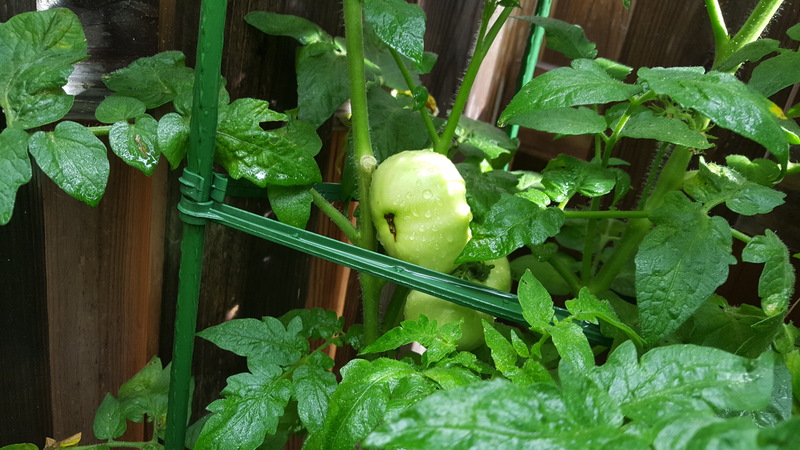 I hope I’ll be back soon with another blog post. In the mean time follow me on all of my social media to see what I’m up to!